We are a leading Manufacturer of printed paper roll, bus ticket roll, lottery tickets thermal paper rolls, pos billing roll, paper rolls and thermal paper rolls from Nagpur, India. Our clients can avail from us, best quality Printed Paper Roll. These Printed Paper Rolls are used for various purposes. Our Printed Paper Rolls are made out of best quality Paper to ensure smooth surface and durability. The Printed Paper Rolls provided by us has good strength and can be obtained at market leading prices. 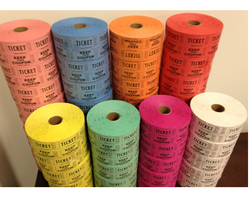 We are able to trade and supply a comprehensive range of Bus Ticket Rolls. We are serving our clients with a quality assured range of these Rolls. These products are available in various patterns and shapes and are known for its preciseness and appropriate thickness. Moreover, our range is reckoned amongst the clients for its longer shelf life. As well, the offered range is available at reasonable prices. 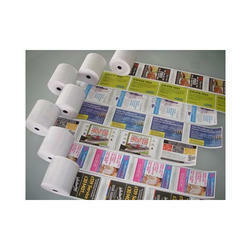 We offer extensively demanded Lottery Tickets Thermal Paper Rolls for the clients based all across the nation. Printed on superior quality paper, our paper rolls are available in various sizes as demanded by the clients. Innovation is our forte and we strive to design and develop a precision-engineered range of POS Billing Roll. The range we offer is manufactured using superior techniques and latest machines as per the quality standards set by the industry. 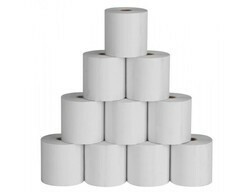 These POS Billing Rolls are widely demanded for various applications in banking sector, shopping malls, ticket counters and retail outlets. We are one of the industry leading manufacturer and supplier of Paper Rolls. Our quality assurance system is directed towards offering quality and long lasting range of colors and other decorative material, Moving ahead on the pleasant of the décor of item to which these are applied. These are available at very reasonable price. 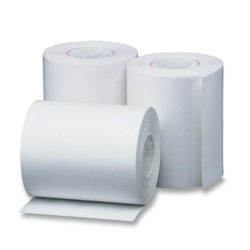 Our organization is also known for offering Thermal Paper Rolls paper rolls for various specialized applications. 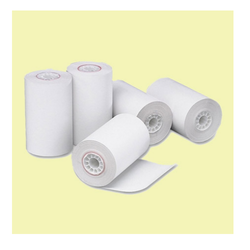 Thermal paper rolls offered by us have a bright surface and long image retention capacity. 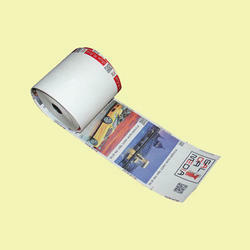 These paper rolls can also be availed by our customers in special sizes as per their preferences. 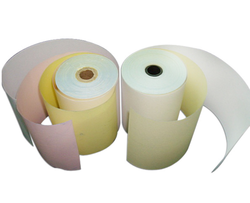 Our company offers a wide range of ATM Paper Rolls. These are made from fine quality paper and appreciated for clean surface design. Our range is widely used in ATM machines, Multiplex Cinema Halls and Stadiums for Generation of Tickets and Transaction Details. 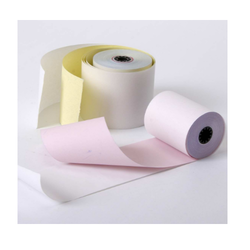 We offer our ATM rolls in various thicknesses and colors to cater the needs of the various industries. 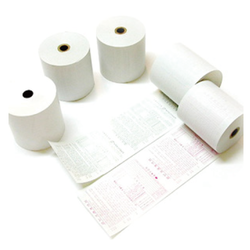 We have established ourselves as a renowned manufacturer and supplier of Thermal Printing Roll. These rolls are widely used for producing clear, sharp and black images and prints. Further, we provide these rolls with printed company logo, some information and allied things as per the requirements of our esteemed clients. Being a customer focused organization, we are engaged in offering a wide assortment of ATM Billing Roll. The offered rolls are suitable for printing applications in transaction printers such as thermal & impact printers. Further, to avoid printer binding and jamming the offered rolls are produced with tight fitting cores. With the help of our experienced engineers, we are able to design and develop Carbon Paper Roll. The offered range of paper rolls in highly demanded in the market for its features such as clear printing, recyclable, smooth surface and high brightness. These products are available in different forms as per the requirements of our esteemed clients. Our domain expertise has enabled us to come up with an excellent collection of Carbonless Paper Roll. These rolls are manufactured by our experts using the premium quality material as per the quality standards and norms. To print the image of the writing material, the offered rolls make use of carbon paper. 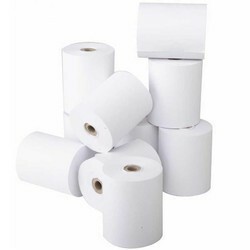 These carbonless Paper Rolls are demanded in various industries such as retail, pharmaceutical and garments for various applications. 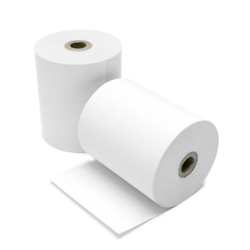 Our Printed Thermal Paper Rolls are popular and in demand because of their quality and best printing results. The quality of these rolls is because of the conscious effort of our engineers to use the best technology and also because we source the finest raw materials from reliable and proven sources. 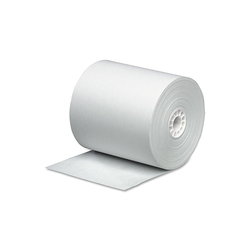 Our low pricing also adds to the popularity of our thermal printed rolls. 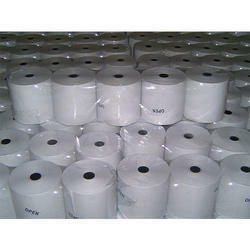 We are prominent manufacturer of a wide variety Toll Plaza Thermal Rolls. These rolls are highly qualitative. Our products are innovatively design by the members of our expert team according to the demand of the market. We supply wide range of rolls for the construction of toll bridges and national highways at the cheapest. 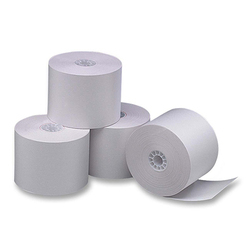 We offer customized Printed Thermal Paper Rolls to suit the needs of the clients. We can print Company Logo, some information or anything that the client needs to be printed on his paper rolls. Product DescriptionWe are one of the leading manufacturers and suppliers of Piggyback Label. The offered piggyback labels are widely used for labelling the bottles in blood banks, pathological laboratories and vaccination centers. 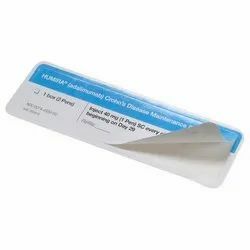 Our manufactured removable and piggyback labels are equally useful for the organizations such as logistic companies, hospitals and courier companies. 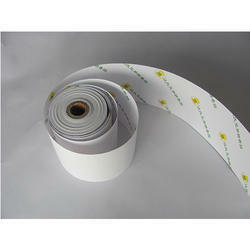 The supplied removable and piggy back labels can be glued to the pre-existing labels. We are offering Billing Paper Rolls. Looking for Paper Roll ?